I wanna take your skincare questions to the “World Of Kiehl’s”! My sweeties, today, I can finally tell you that… wait for it… next Tuesday, Max and I will be flying to ⭆⭆⭆NEW YORK CITY⭅⭅⭅! Wohooo, yes, the Big Apple is calling, or rather the wonderful, crazy cool and funny guys from Urban Decay and Kiehl’s will be taking us through the city for almost two weeks! I can’t wait! With Urban Decay, we’ll attend an exciting event and we’ll also be styling and shooting some cool make-up looks and with Kiehl’s, we’ll attend the fabulous “World of Kiehl’s” – a unique chance for us to really get to know the company’s history and to meet loads of interesting people. Next to a great book (mein current favourite: “What If” by Randall Munroe), some sunglasses (I looove my new Miu Miu sunnies via Mister Spex!!) 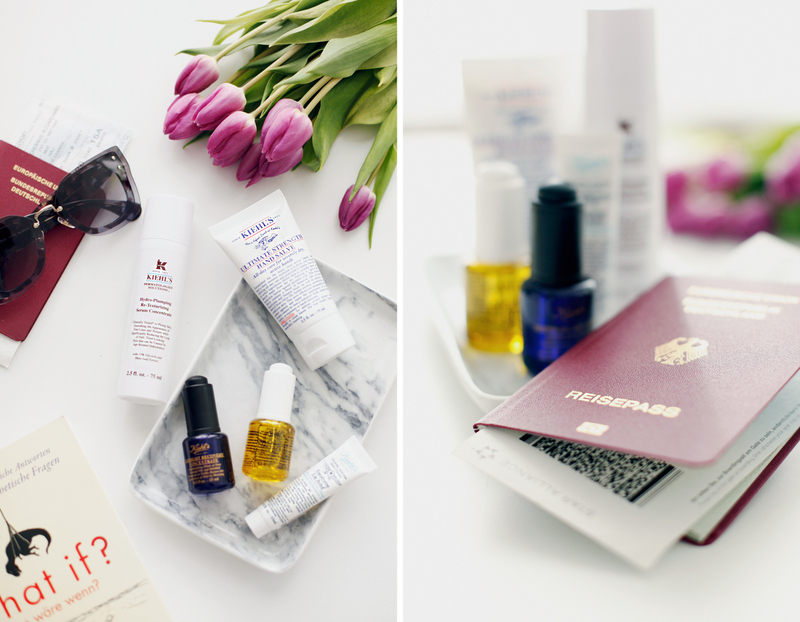 to sleep or not to be annoyed by people, the ticket and passport, I also like to take some beauty favourites into my hand luggage. Because after spending many hours in the dry, conserved airplane air, my skin really needs some hydration and freshness! 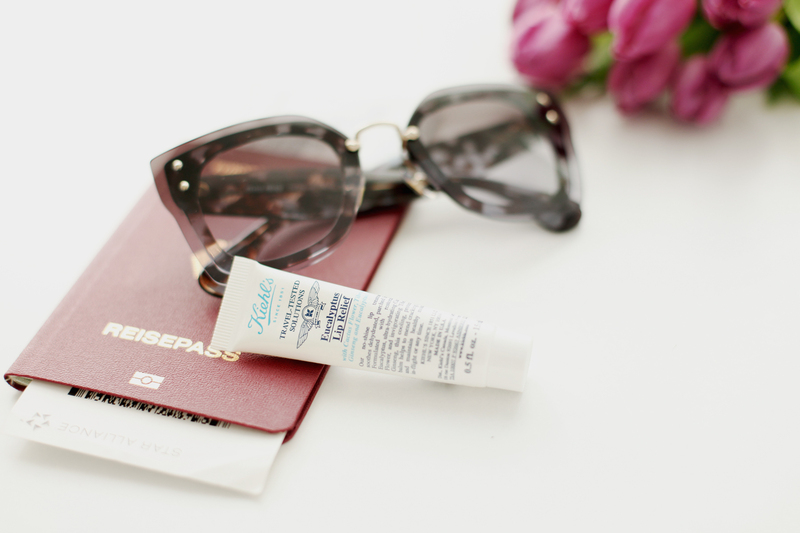 ⭆ From the Kiehl’s Travel-Tested Solutions range, I like to always take the Eucalyptus Lip Relief along with me. It’s a true must for any girl’s handbag to give back your lips a soft and healthy feeling. ⭆ Another essential is a hand cream, because my hands are always dry and it’s usually getting even worse on airplanes. The Ultimate Strength Hand Salve by Kiehl’s offers immediate hydration and care for my severely dry hands. ⭆ For more even, more beautiful and clearly refined skin on the road, I love to take along the Hydro-Plumping Re-Texturizing Serum Concentrate. It’s easy to dose and just perfect for long travels when your skin is getting tired and you feel like you can discover wrinkles everywhere. ⭆ During such a long flight, naturally, I always try to sleep a couple of hours – especially, when I’m flying through the night. So, before I close my eyes, I like to add the Midnight Recovery Concentrate by Kiehl’s on my skin – something I also like to do before going to bed at home – so I can wake up fresh, recovered and relaxed and with a younger looking, radiant skin. ⭆ After waking up on the other hand, my skin needs refreshment which I can get – no matter if at home or on the road – with the help of the Daily Reviving Concentrate. It has this lovely citrus scent and revives my tired skin immediately. 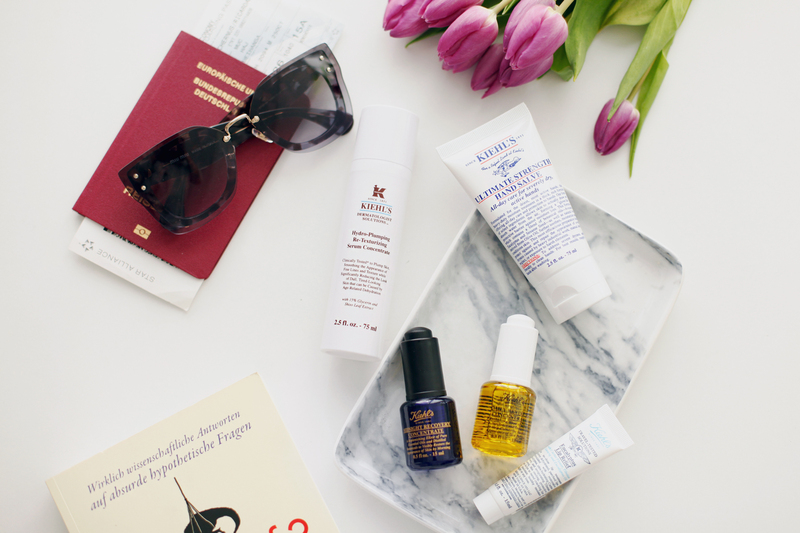 And the best thing about my Kiehl’s travel essentials? You can get all of them in travel size under 100 ml so you can easily carry them in your hand luggage. I love that! 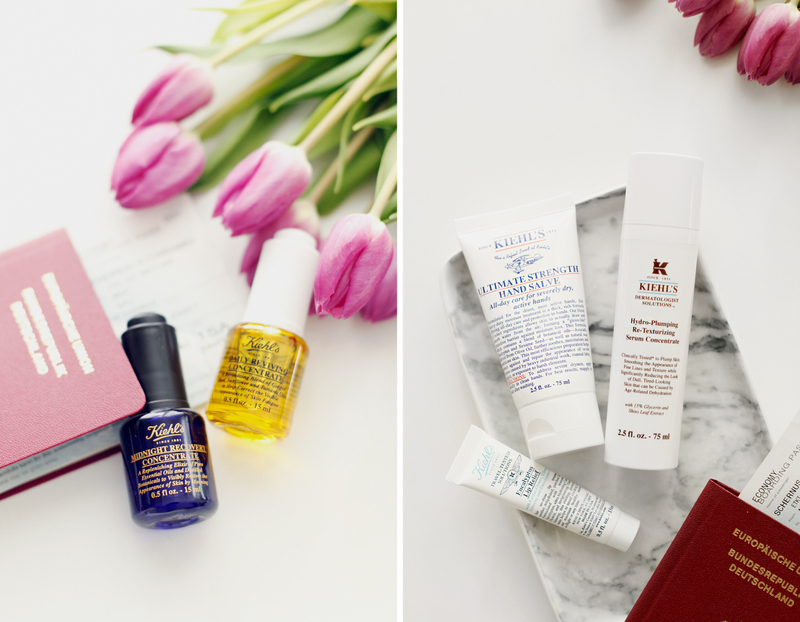 Ask me anything about skin or skincare and win my travel essentials by Kiehl’s! And now for the most important part: During the “World of Kiehl’s”, I’ll have to chance to interview some experts so I’m giving you guys the chance to ask all the things you always wanted to know concerning your skin or skincare in general. I’ll then take these questions to the experts and give you the answers in a cool video! Sooo, don’t be shy and ask along! 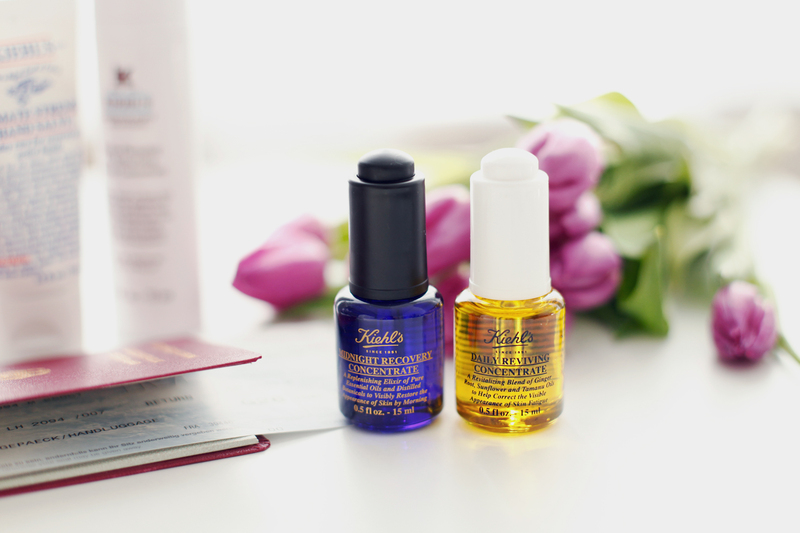 Among all of you guys who asked a question down here in the comment section under this post until May 6th 2016, I’ll give away my Kiehl’s travel essentials to one lucky winner. So don’t wait, ask your questions because I’m super excited to find out what kind of questions I’m gonna pose to the experts in NYC! In lovely collaboration with Kiehl’s. Ach wie toll, ich liebe New York! Ich wünsche euch ein paar wunderschöne und interessante Tage im Big Apple! Hab ganz viel Spaß in New York!!! Was ich mich schon lange frage: Wie bekommt man diese weißen, kleinen Mitesser weg bzw. wie kann ich dagegen vorbeugen?? Ich wüsste gerne, was das beste Produkt gegen große Poren ist. was ein Traum! Ich hoffe, ihr habt eine tolle Zeit in New York. Ich habe in der T-Zone sehr fettige Haut, an den Wangen aber sehr trockene Haut und kleine Pickel. Worauf sollte ich bei meiner Pflegeroutine achten, bzw. was für Produkte sollte ich verwenden? 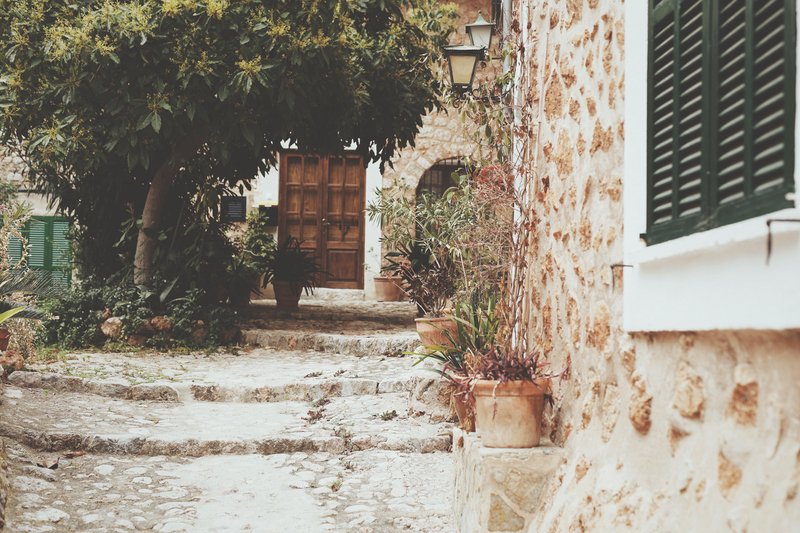 Wie toll. Ich wünsche dir eine wundervolle Zeit. Ich liebe die Kiehls Produkte, deshalb bin ich ganz gespannt und habe so manche Frage. Wie oft sollte ich eine Gesichtsmaske machen? Ich habe selten Pickel, aber viele Mitesser und große Poren. Wie behandle ich das am besten? 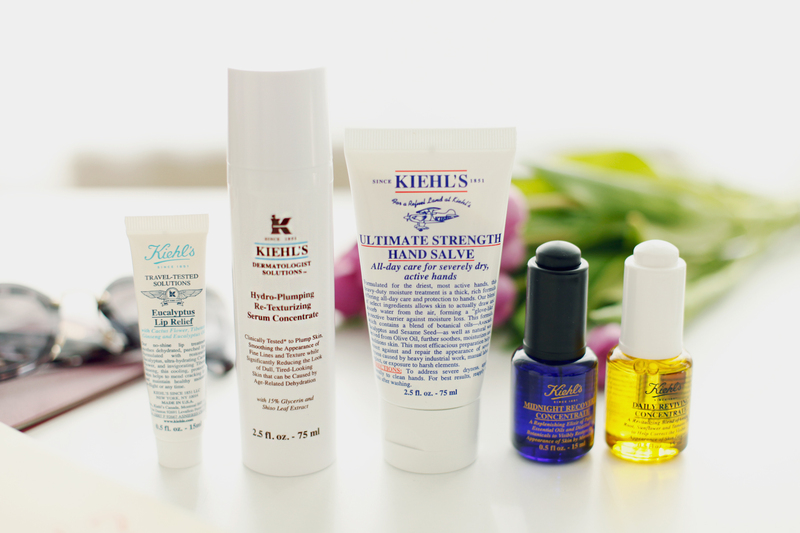 Was sind die besten Tipps von den Kiehls Experten für gute, reine Haut? Ohhh das sind echt coole Reise Essentiels! Ich wüsste gerne, was ich machen kann wenn ich sehr dunkle Augenringe habe. Meine Augen wirken ständig so müde und meine Haut um die Augen ist schrecklich trocken und dabei so dünn. Bisher benutze ich Augencreme von Alterra aus der Drogerie… Vielleicht kann mir da ein Kiehl’s Experte nen Tipp geben? Ich wüsste gerne, was der Unterschied zwischen Serum und Concentrate ist und wann man es aufträgt. Darf ich darüber noch eine Creme und Make up tragen oder reicht so ein Serum aus? Kiehls Produkte mag ich sehr gerne. Ich wünsche euch eine bezaubernde Reise. Ganz viel Spaß in NYC!!! Ich liebe Kiehl’s! Mega schöne Fotos mal wieder, ich wünsche euch eine spannende Zeit in NYC!! Man hört ja immer, dass sich die Haut über Nacht erholt und ich würde sie dabei gern auch unterstützen, leider verursachen bei mir die Nachtcremes immer furchtbare Hautunreinheiten. Gibt es da auch Produkte, mit denen ich meine Haut pflegen, aber eben keine Hautunreinheiten erzeugen kann? Das wär mir echt eine Hilfe. Wie kann ich verhindern, dass meine Haut beim Sport (durch das Schwitzen) austrocknet?